Some of you may know that I am from Regina, Saskatchewan a.k.a. Riderville, home of Canada’s best football team, the Saskatchewan Roughriders. Certainly, there’s absolutely no argument there. Regina is also known for developing some of hockey’s greatest players, all through the Western Hockey League’s (and the world’s) oldest junior franchise: The Regina Pats. To put its history in brief, the Pats were named after not just British royalty, but also the Canadian military’s Princess Patricia’s Canadian Light Infantry. In it’s 98 seasons, the Pats have won two league championships in the WHL and four Memorial Cup championships, the last one being in 1974. That year, the Pats had an impressive roster, led by the likes of Hall of Famer Clark Gillies of the New York Islanders, Dennis Sobchuk, Ed Staniowski, and Greg Joly. Since then, the Pats have had poor and mediocre seasons with very minimal playoff success. The only major highlight since 1974 was hosting the Memorial Cup in 2001, upsetting the Ottawa 67’s in that tour. While success has been hard to find in Regina, the club produced some fine crop of NHL talent. Just look up guys like Doug Wickenheiser, Gary Leeman, Dale Derkatch, Jamie Heward and Mike Sillinger. There are a few Regina Pats alumni that are currently in the NHL, with most of them striving for that elusive first Stanley Cup. Here are five notable Pats alumni and what they’ve done so far. He is characterized as a steady and reliable defenceman, but you wouldn’t know that when he starred with the Pats. He scored 18 goals for Regina, more than he has in any NHL season. He was drafted 13th overall by the Calgary Flames in 1996. 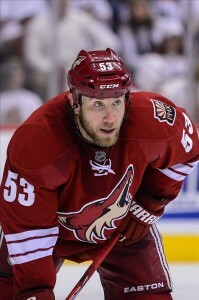 He spent the majority of his playing career with the Phoenix (now Arizona) Coyotes, with short stints in Colorado, New York Rangers and Boston. 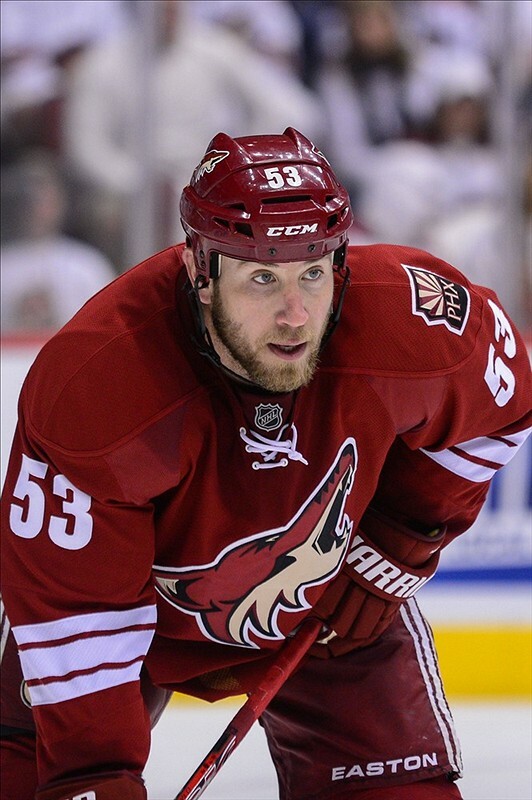 His only major postseason success was in 2011-12 when his Coyotes upset the heavily favoured Chicago Blackhawks in the first round before losing to the eventual Stanley Cup Champions from Los Angeles. What does Morris have to do to win the Stanley Cup? Arizona needs to be better than just that one playoff year two years ago. The Western Conference is stronger than ever, and in order to compete with contenders like the Blackhawks, the LA Kings and the St. Louis Blues, Morris will have to lead the defence and protect goaltender Mike Smith. Another steady defenceman who played four seasons in Regina, he entered the 2002-03 NHL season with a bang literally. He won the Calder Trophy as top rookie with nine goals and 190 penalty minutes, all with the St. Louis Blues. What Jackman has to do to win the Cup? St. Louis can no longer afford to fall short if they want to win the West and become serious Stanley Cup contenders.They just need to get over the hump that is Chicago or LA. A little bit more offensive help from guys like Alex Steen, TJ Oshie and David Backes would be nice. With Alex Pietrangelo’s stock rising, Jackman and the rest of the Blues defence should hold. What will it take for Harding to win a Cup? After a successful run in last year’s playoffs, the Minnesota Wild could arguably be the next Western team on the rise. However, with Harding being suspended by the team for breaking his foot (kicking a wall), that opportunity to win a Stanley Cup in Minnesota may get further away. That opens the door for other goalies in the system like Darcy Kuemper, Niklas Backstrom and Ilya Bryzgalov to take the number one spot. Harding needs to deal with himself first before he can get back to the success he had enjoyed in the past two seasons. You could say that Brad Stuart is the kind of low-key defenceman that nobody thinks about. 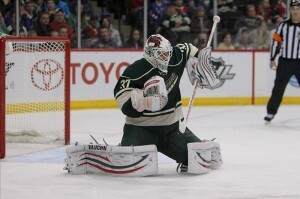 Behind the scenes, he is tough, protective, and will do what it takes to clear the puck for his goalie. After three solid seasons with the Pats, Stuart started with the San Jose Sharks, then bounced around Boston, Calgary and Los Angeles. But a trade from the Bruins to the Detroit Red Wings turned his career around. He wasn’t on much of the headlines like his defensive partner Nick Lidstrom, but he did make an impact when it counted most. What will it take for Stuart to win another Cup? Two years ago, Stuart returned to the first NHL team he started his pro career in San Jose. Unfortunately, he was part of the 2013-14 squad that blew a three games to none lead against the eventual Stanley Cup Champions from Los Angeles. With the Sharks’ objective of getting younger, Stuart accepted a trade to Colorado. After being eliminated by Minnesota last year, Stuart and the Avalanche will have to exceed their expectations if they want to return to true playoff form in the late 1990s and early 200os. Of the recent Regina Pats to come to the NHL, none made a bigger impact on today’s pro game than Jordan Eberle. After a stellar junior career that included an amazing World Junior run in 2009, he had to earn his stripes playing in the Oilers’ minor league team in Springfield, MA before cracking the Edmonton roster. His first NHL goal was pretty memorable. What will it take for Eberle to win a Cup? With Edmonton, a lot of time and a lot of patience. Since 2007, the Oilers have missed the playoffs. For their fans, patience has passed the point of wearing thin. The Oilers need to make the playoffs if they are to have some relevance, after years of rebuilding (and more rebuilding) with Taylor Hall, Ryan Nugent-Hopkins and Nail Yakupov. While their offensive talent is there, their defence and goaltending remain an issue, and has been for seven agonizing years. Would Eberle better serve his offensive talent elsewhere? Rumors have swirled since 2013 that a few clubs like Philadelphia and Tampa Bay were interested in him. After going through five grueling seasons of losing, is it high time for Eberle to be traded? Unless Coach Dallas Eakins and GM Craig MacTavish can salvage a sunken ship, things in Edmonton may remain on the ocean floor. Eberle’s patience will certainly be tested in 2014-15.